We are witnessing the slow but sure, uberization of insurance. Insurers now more than ever, need big data-driven insights to assess risk, reduce claims, and create value for their customers. The industry is abuzz with a steady influx of new innovative products, deriving value in areas that were previously untapped. Processes like faster KYC verification and onboarding, automated underwriting, virtual claims adjusting, to name a few have become hot commodities within the last year. With AI-assisted technologies improving functionality, reducing real-time data fraud or meddling; insurers are creating custom-fitted coverages for the end-user. For example, AI-powered underwriting solutions are already saving up to 97% of the time and resources that were traditionally required, enabling the corporate underwriter to specialize in cases that require deeper thought and analysis. According to a recent CB Insights report, here’s what’s next for P&C Insurance. The general insurance industry in India alone is valued at US$ 21B in 2019, growing at 13% CAGR over the next 5 years, and is expected to touch US$ 57B by 2025. Customer’s coverage expectations in the subcontinent have shifted toward desires of flexible insurance products that more closely match their lifestyle needs. These trends across the APAC landscape mirror the changes being witnessed in more advanced insurtech markets across Europe and North America. Splitsurance: Allianz Suisse used KASKO’s cloud-based insurance lifecycle platform to create and run a new type of insurance product – splitsurance. The offering targets university students in Switzerland, who live in a ‘flatshare’. Customers can get a liability cover, insure up to three high-value items of their choosing and also get discounts if their flatmates decide to join. Users can manage and update their cover autonomously through an after sales customer portal. CUVVA: Cuvva provides hourly car insurance. In the mobile app, you simply enter the registration number and approximate value of the car you are borrowing from a friend or family member, choose the time you want to be covered for, take a picture of the car and Cuvva will get you an instant quote. Cuvva integrates with Facebook so that you can see which of your friends have cars to borrow. Cuvva queries various data sources to check driving licence data, the Claims and Underwriting Exchange and automated fraud protection to verify coverage quicker than legacy players can. Digital Risks: DigitalRisks is an insurance specialist built for tech companies, offering a flexible, pay monthly Insurance-as-a-Service model. A founder could start out by protecting their laptop and end up with employer liability insurance and insurance against data breaches as the company grows. Back Me Up: Back Me Up is an offshoot of Ageas. Their unique proposition is to be a parental-like cover for young people and students. For £15, one can insure their three most valuable items (eg: laptop, mobile), that also includes theft loss and worldwide travel insurance, plus there are no annual contracts. Mango: The Mexico-based life and retirement insurance intermediary, allows users to obtain life insurance “in minutes.” They are pioneers in Mexico, who use technology to streamline every interaction you have with your insurance, avoiding unnecessary paperwork and confusing coverages. They have intelligent bots at work to answer insurance related queries, plus their UI is outstanding. Bought By Many: The UK-based startup is a free, members-only service that helps users to find insurance for the not so common things in life. They offer pet, travel, car, bike, shoes, gadgets, home insurance covers and more. Members save an average of 18.6%. The company negotiates discounts directly with insurers for the clients’ unique situations. Dad Cover: The product is uniquely propositioned for Dads looking to get life insurance and financially protect their families. They’re full-sized professional financial planning firms, working with life insurance specialists. Using a streamlined service, one can get a free quote after a quick chat with their DadBot, then one of their associated FCA registered advisers will talk you through your needs, answer all your questions and give you proper independent advice on what’s best to help protect your family. Go Girl: GoGirl is a woman-only drivers insurance, that rewards good drivers with lower premiums. The insurance cover also includes a free courtesy car when your car is in for repairs, legal cover, child car seat, personal accident and windscreen cover. The company also insures your handbag and its content if it is stolen from the car. A free quote is available in minutes, and the whole transaction can be completed online. Safety Wing: The “Insurance for Nomads” via SafetyWing is a travel insurance that’s creating a safety net for online freelancers and entrepreneurs. The company offers coverage – up to $250k via Tokio Marine HCC – for unexpected illness or injury, including eligible expenses for hospital, doctor or prescription drugs. They plan to extend their products to medical travel insurance in the near future. Fizzy: Fizzy is a revolutionary web & mobile insurance cover for flight delays of 2 hours or more. Developed by AXA, with Fizzy you combine the benefits of a startup and the insurance knowledge of a global insurer. They offer a one-shot coverage tailored to your own flight route, with automatic compensation in case of a delay, with no exclusions. You can purchase fizzy in 4 clicks at any time after your flight ticket has been purchased, up to 5 days prior to departure. Vlot: The Vlot platform provides life risk analysis and coverage solutions that smoothly adjust to your changing life situations. If you meet unexpected changes in your life, such as moving to a new city, getting married, or loss of a job – you can adjust your life risk coverage accordingly and never be over or underinsured. You only pay for what you really need in your current life situation, and control the premiums as and when dynamic changes occur. 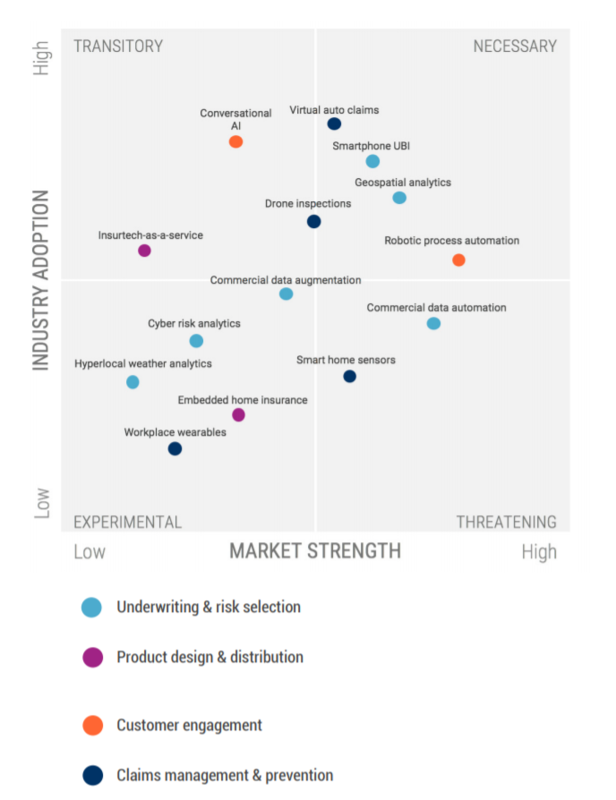 As customer tastes continue to evolve, the future looks promising for the state of innovation, while insurers align their offerings in lieu of the demand for newer insurance products. 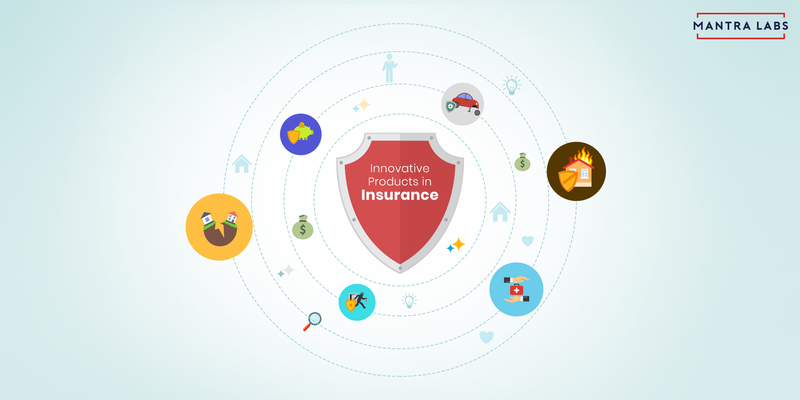 The marketplace of insurance ideas is already a reflection of the changes customers want to see from their insurance providers, with young insurtechs being instrumental in bridging those unmet need-gaps, and bringing out positively unique insurance coverages for the average consumer.